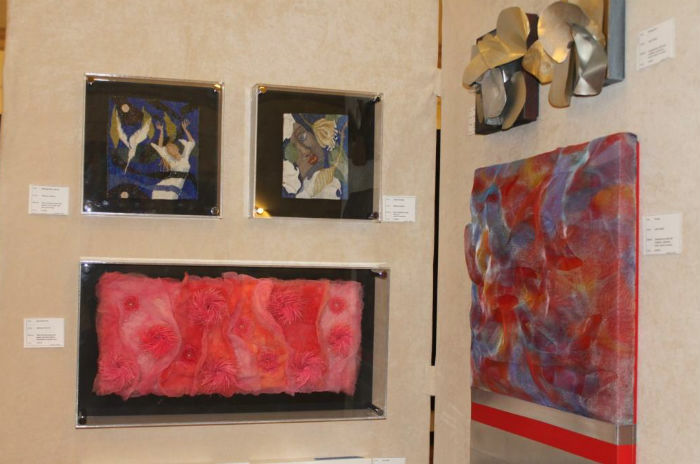 Malvern Retreat House’s Art Show includes its Fiber Art display, including works (left) by artist Deborah Johnson. Works by artists including Robin Grass from Everett, Pa., will be on display and for sale at the art show. More than 100 juried artists will be showing and selling their work at one of the region’s largest art shows this weekend. The event at Malvern Retreat House runs through Sunday, Feb. 8 and includes a number of renowned artists. 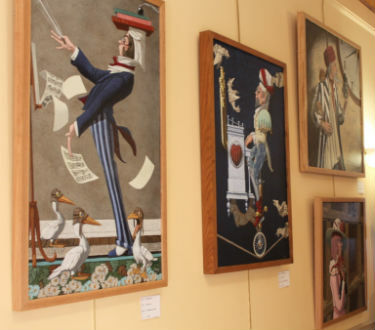 The wide range of artwork includes a special feature display of fiber art. One former member of the military, who is now an artist, says she looks forward to participating in the show since she enjoys the process of making fiber art. Aside from fiber art, the Malvern Retreat House show also includes art forms ranging from jewelry and sculpture to painting and woodwork. Artist Jeff Schaller, who was named one of the top five most influential artists by Business 2 Business magazine, says he enjoys using an ancient practice to make some of his pieces. 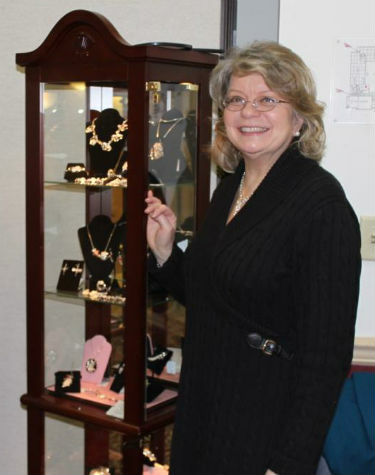 Artist Tere Petrovich shows some of the jewelry she is displaying at the art show. “I create art by using encaustic painting techniques, which was an ancient tradition for the Greeks and Romans that utilizes wax and natural pigments,” Schaller said. The show remains open on Saturday and Sunday from 10 a.m. to 4 p.m. The show is free and open to the public. Visitors can drive through Entrance B at 315 South Warren Avenue in Malvern to park for the show in the McShain-Horstmann Family Life Center. Proceeds will benefit Malvern Retreat House, the oldest and largest Catholic Retreat House in the country. More information is available at malvernretreat.com/artshow.